The yard needs to be watered so you drag out a hose and moveable sprinkler and put it down in the first area. A little while later, you have to do another area so your choice is move it quickly and get wet, or run and turn off the water, move everything, then run and turn the water back on again. This happens several times a week or maybe even every day, which ties up your valuable time and energy. In addition, sometimes, even with your best effort, there is an area or two that just doesn’t seem to get enough water and you struggle to keep it green. For some people, watering/sprinkling this way works just fine. However, if it’s not working so well for you, there certainly are alternatives. Often, installing an automatic sprinkler system is a significantly better answer in the long run. Here are just a few reasons why. One of the biggest differences between hand watering and a professionally installed system is the amount of water that is used. Even though automatic sprinklers will likely run more often than you might water yourself, they can use up to 30% less water. One reason is because in-ground systems are designed to water each area appropriately rather than giving the same level to everything, whether needed or not. And of course, saving water means you’ll also save money on your water bill. When plants and grass get the amount of moisture they need on a regular basis, they will be less stressed by changes in the weather. Just like people, when plants are not stressed they grow stronger and healthier. Strong healthy plants resist pests better and strong grass will often crowd out weeds. One of the key benefits of an automatic sprinkler system for most homeowners is the “automatic” part. Instead of having to plan an evening for running around the yard, everything is taken care of for you. In many cases, the system will run in the early morning hours while everyone is asleep and no one even notices. 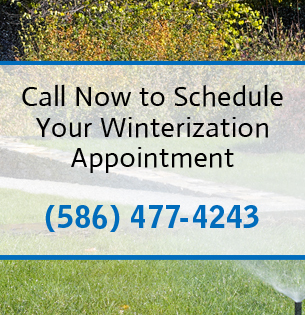 As long as it is properly maintained, an automatic sprinkler system will provide many years of reliable, hassle free irrigation for your whole yard. If you would like to find out more about making the switch from doing it yourself, to having a professionally installed system, My Sprinkler Guys would be happy to provide a free estimate. Feel free call or reach us through our contact page.